A manually operated lift that is designed to lift open bottom skids boxes and baskets that weigh up to 2200 lbs. Unit lowers by depressing the bicycle pump. 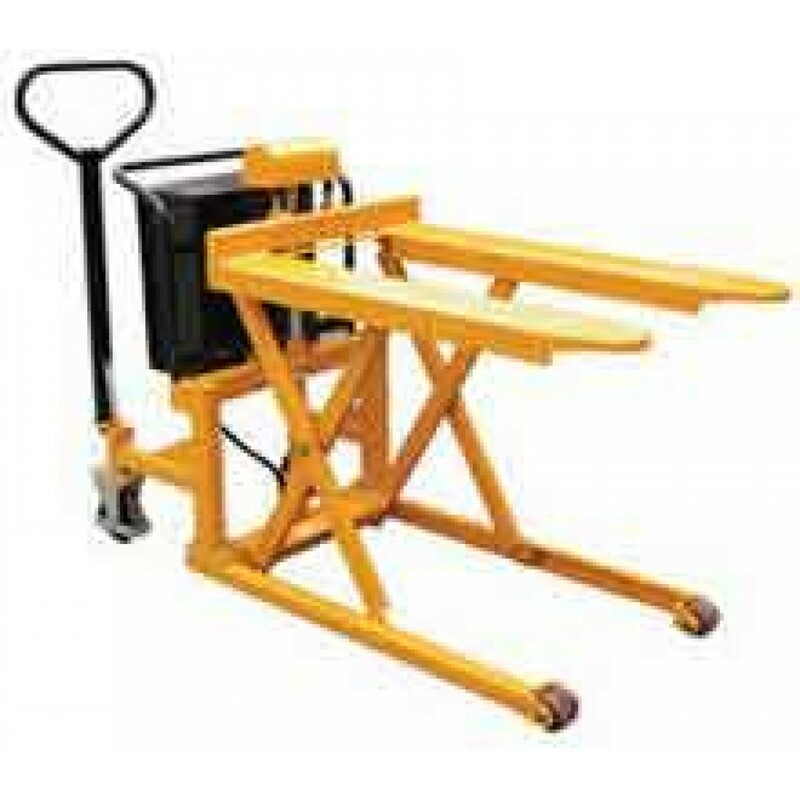 The Vestil Tote-A-Load is a foot operated lift that will lift loads up to 1/2" per stroke. Fork Size: 27" x 43"
Service Range: 3-1/2" to 33"
Unit lowers by depressing the bicycle pump. Equipped with an emergency stop button and a battery charge indicator. Lever control for moving the unit up and down is located on the lift. Features sturdy, polyurethane swivel casters equipped with brakes for safe and easy operation.